Former Presidential Advisor, Dr. Jan Mangal is calling for an immediate investigation into all oil blocks given out during the era of the People’s Progressive Party/Civic (PPP/C). In a missive to the media on Saturday, the Oil and Gas Consultant said he suspects that the blocks were awarded in highly inappropriate ways or even corrupt ways under the last administration. 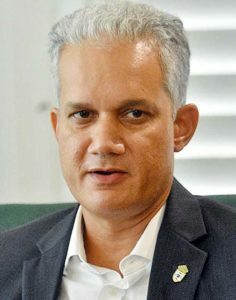 He emphasized that an investigation is needed to ensure the people of Guyana were not robbed of tens or even hundreds of millions of US dollars. Dr. Mangal also issued a word of caution to the current administration as it relates to the announcement by the Ministry of Natural Resources to hire a consultant to help negotiate the remaining blocks. Dr. Mangal said that all efforts in this regard should be halted. The Oil and Gas Consultant insists that before this is to take place, Guyana must equip itself with the most ethical and professional individuals in the industry. Dr. Mangal also said he believes this new industry can be tremendously transformative for the poor people of Guyana if handled well. He noted however that the only way this new industry will be successful and sustainable in a way that benefits the poor is for local authorities to negotiate hard, be prepared to walk away from a particular negotiating table, and for the authorities to hire the best and the most ethical individuals.